I've mentioned before the wonderful food styling workshop sponsored by Nashville Food Bloggers. Since then, I've become more and more sensitive to the beautiful photos on many blogs and the less than stellar iphone photos on mine. 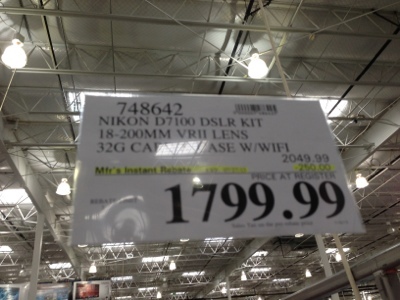 Costco has several fairly expensive (to me) cameras for sale right now, so I thought I would do some research on whether a new camera was what I needed. First, while the good cameras at Costco are expensive, they might not be expensive enough. People seem to agree for $5,000 you can get a camera that takes beautiful photographs. None of the cameras at Costco approach this figure. I wish I had been paying more attention or understood better what the bloggers around me were using for their pictures at the workshop. I can't believe (well, I can, but I don't want to) that they all have thousands of dollars invested in their cameras. Unless you're going to buy a top camera, photographers seem to agree, stick with the iphone. You have it, it's small, it works;e dit photos with Instagram and get them on-line. Problem is, I kind of want to take a photo class; and, for that, I need the single lens reflex.